Where romance meets reality. The name Bordeaux has always evoked impressions of quiet sensual pleasure, where the civilised and the natural coexist in easy harmony, and wine lovers are free to engage in their favourite pastime – savouring the world’s finest wines.. 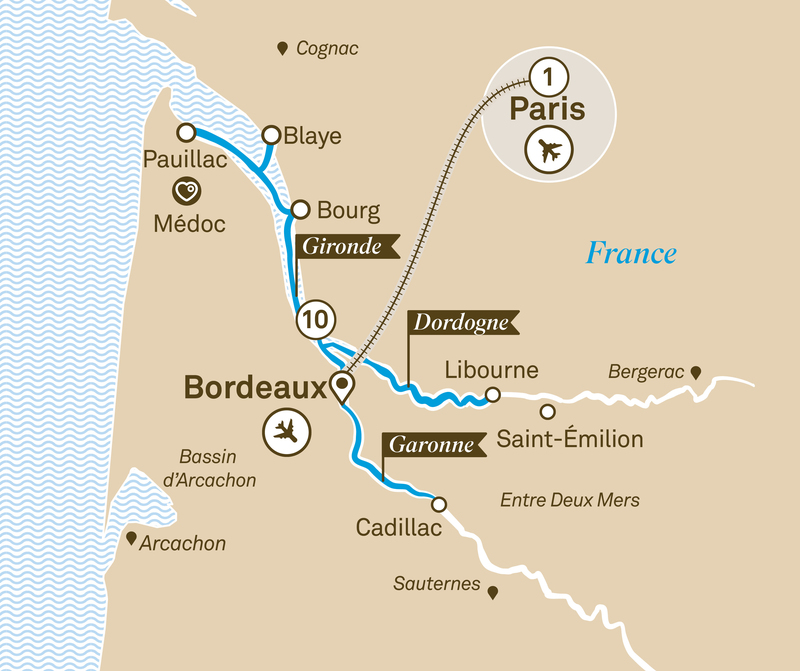 In fact, the reality of Bordeaux is not that different from the romantic impression most people have of it. Extraordinary landscapes, delicious fare prepared with a finesse characteristic of the French, winemaking that has been refined to an art, and a wealth of historical riches, from elegant châteaux to churches that have been around for longer than most of the new world. Visit Grand Cru Class wine estates, explore the Cognac region and sample its famous brandy, or fresh oysters from the waters of Arcachon Bay. You’ll find that beautiful Bordeaux is everything you imagined it to be, and more.